Designed by BridgerConway, Argentina / USA & Global. 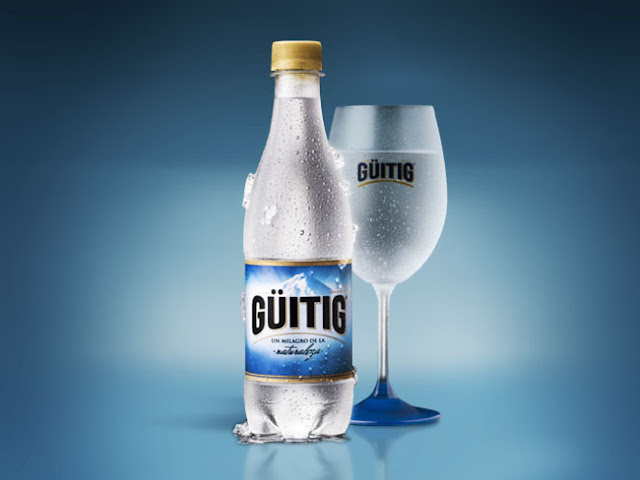 Güitig - Carbonated natural mineral water of volcanic origin. 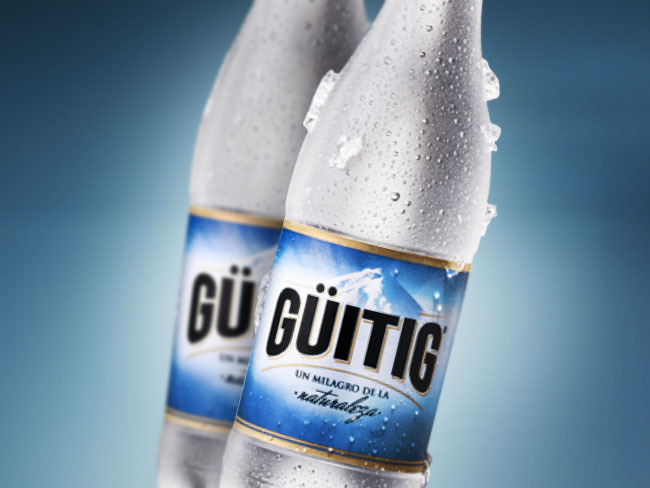 Güitig, which is part of Cabcorp Ecuador Group, is an Ecuadorian brand with over 100 years in the market. As the market leader in its category, this carbonated natural mineral water of volcanic origin is manufactured in Machachi, a small town located in Quito. It is the leader in the carbonated natural mineral water category. 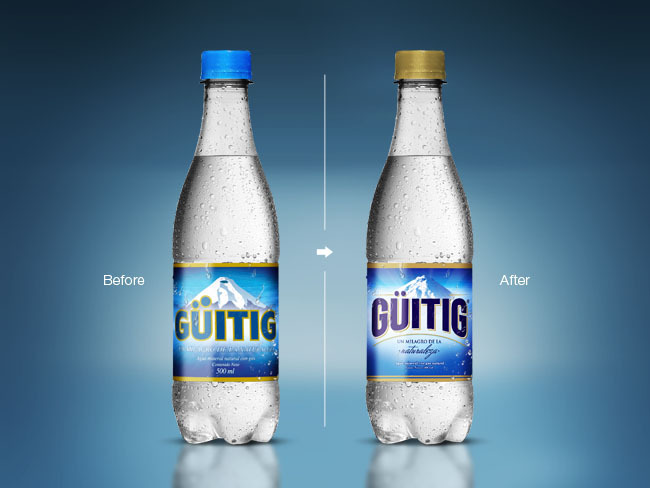 Güitig needed to be revitalized for several reasons. It is recognized by all Ecuadorians as a traditional and high-quality brand offering a natural product, however it was perceived as outdated and targeted for a more mature audience. The challenge was to revamp its image without losing the product's traditional perception and other positive attributes such as family heritage, quality and reliability. Based on this, BridgerConway developed the new image, starting with the logotype and packaging line. Fernando Arendar, Creative Director of the Packaging Division, commented "We wanted to create a brand that could be associated to the classic world without being old. That's why we adapted the beer's graphic style in order to achieve that goal".